We are pleased to announce that we have added support for coverage of Persian/Arabian Gulf, Red Sea & Gulf of Eden. The folio covering this region is available in i-Boating for both iOS and Android devices. i-Boating supports HD Bathymetry (1ft) for Minnesota Fishing Maps. This includes fishing maps for Kabetogama, Namakan, Minnetonka, Mille Lacs, Leech and over 1500 Minnesota fishing lakes (vector format). 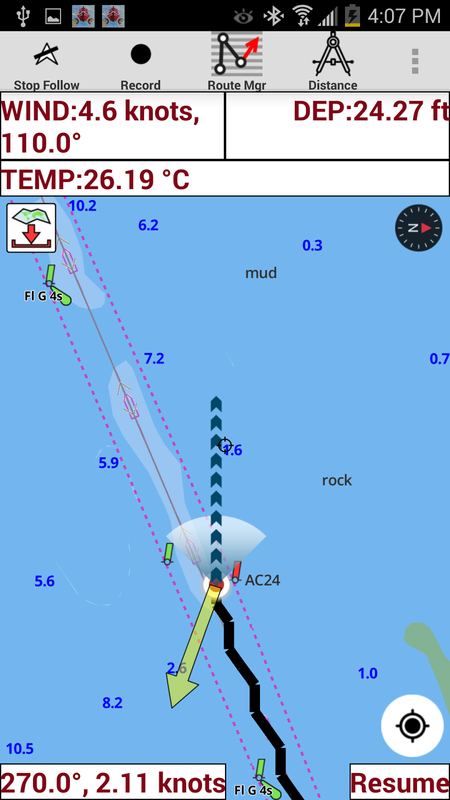 We have also partnered with Vexilar, a Minnesota company to add support for viewing live Sonar on your iOS device. So if you are looking for Minnesota lake depth maps, i-Boating has you covered. NMEA over TCP/UDP: Now, you can connect to your instruments over TCP as well as UDP. 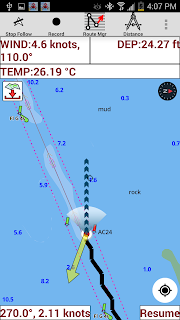 GPS over NMEA: If you would like to use external GPS or if your device does not have a built in GPS, the app can now read GPS data from your instruments. Wind direction: The application also shows the wind direction as yellow arrow next to the current location. To view wind direction on the map, you must tap on Auto Follow. Otherwise it is just shows as text on top of the map.